(10396, Adaline H. Hasson Collection, OHS). Located eighteen miles north of McAlester on State Highway 113 in northwestern Pittsburg County, Indianola lies on the south bank of the South (main) Canadian River, which now joins Lake Eufaula. Located in the Choctaw Nation, Indian Territory, the town originally stood several hundred yards south and east of the location of Indianola School. A Choctaw named Lyman Hugh Perkins had a farm on a large amount of the land that is now Indianola. In 1875 H. M. McElhany moved to the vicinity and some time later opened McElhany's Store, a one-room, log building. The mail arrived by horseback from the post office in Canadian, northeast of Indianola. After three years McElhany sold the store and mail drop to Albert S. Cornelison and James H. Bynum. On January 16, 1891, a post office was established, with James H. Bynum as the first postmaster. Two stories explain the community's name. The first claims that Bynum and several other men took the name from a stove in Bynum's store. The second asserts that it honors Indianola, Mississippi. 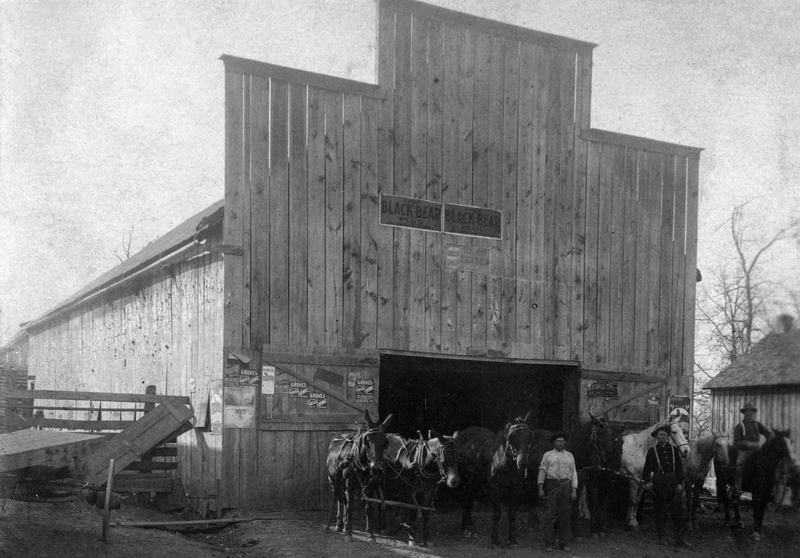 Reportedly, the settlement had two general dry goods stores, a wagonyard combined with a blacksmith shop, and a cotton gin. The first recorded Indianola School was established in February 1895. On October 18, 1898, Perkins donated one acre for a Methodist Episcopal Church. After the congregation erected a church building, school was also held there. The settlement had a newspaper, the Indianola Herald. In 1902 the Fort Smith and Western Railway built a line one mile to the north of the community, and Indianola relocated to be adjacent to the tracks. The original site was thereafter called "Old Town." After the town moved, various churches housed the school. Around 1903 or 1904 residents built a little red school building. On June 5, 1909, Perkins and his wife, Hattie Steward Perkins, donated four acres to the town. Soon a new, two-story, sandstone school stood on this location. In 1928 the first class graduated from Indianola's high school. Prior to this the school served students through the eighth grade. In 1910 the town sheltered 781 residents, a number that steadily declined to 378 in 1930. Indianola's economy was based on agriculture. The South Canadian River's rich, sandy bottomland was ideal for raising a variety of crops. Farmers sold corn and other vegetables at McAlester and Krebs. Before the first cotton gin arrived in the area, residents hauled cotton to Canadian. With more modern farming machinery and methods, as well as the railroad, large family farms developed. Cotton was the major cash crop. At various times the area supported four cotton gins and three gristmills. Other major crops have included corn, grains, soybeans, peanuts, and onions. In the early-to-mid twentieth century farmers began raising onions in large quantities. For several summers onion graders lined the streets and occupied empty buildings. Buyers from all over Oklahoma and surrounding states transported large numbers of workers to harvest the crop. A large harvest during World War II brought German prisoners of war from a camp north of McAlester to help in the fields. In 1904 the Indianola Press served as the community's newspaper, followed in 1905 by the Indianola Enterprise. Economic events propelled Indianola into decline, beginning with the collapse of the cotton market in 1927 and the Wall Street crash in 1929, creating the Great Depression. In 1936 the worst drought on record hit the area, and in 1939 the rail service ended. A large number of Indianola area residents relocated to California, Oregon, Oklahoma City, and McAlester. In the following decades Indianola changed from a boomtown to a quiet rural agricultural community. In 1940 the population stood at 311, dropping to 254 by 1980. In 1979 Choate's Cabin (NR 79002019), built in 1867, was listed in the National Register of Historic Places. The 2000 census reported 191 residents, and in 2010, 162 persons lived in Indianola. News Capital and Democrat (McAlester, Oklahoma), 7 November 1984. George and Carol Scott, "Indianola," The Encyclopedia of Oklahoma History and Culture, https://www.okhistory.org/publications/enc/entry.php?entry=IN022.